3 Reasons why STI break 3000 points! What Sectors and Stocks to look at NOW? This week marks the first time that STI broke 3000 points barrier after one year. More importantly, STI broke the one year resistance of 2970. 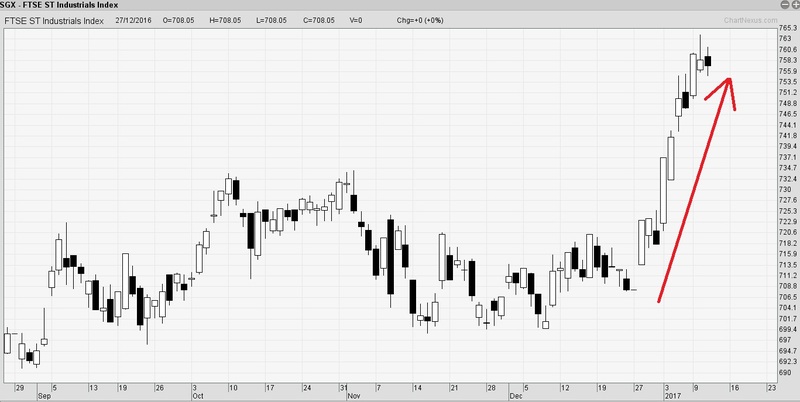 Chartists term it as a Quadruple Top Breakout (a.k.a. 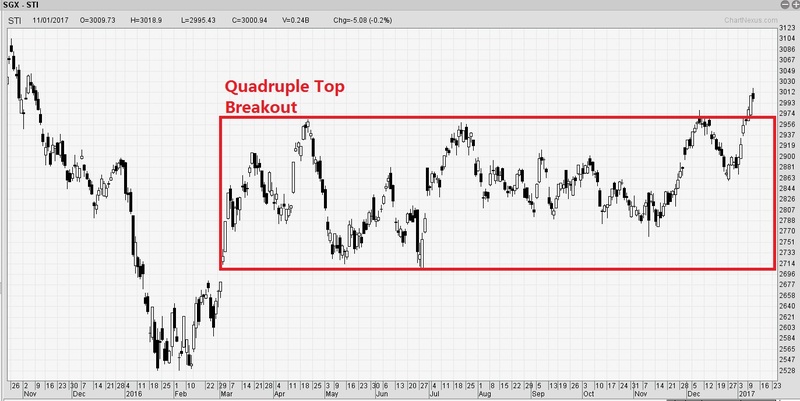 Four top Breakout). 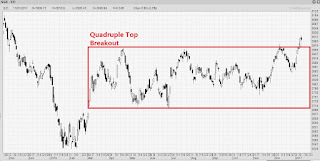 A Quadruple Top Breakout is a pattern play that signifies great bullish momentum. The recent bullishness in crude oil price has really pushed some crude oil stocks to increase sharply. Keppel Corp went from $5.40 to $6.30 in just a couple of weeks. Sembcorp Industries went from $2.40 to $3.00 in 2 months. Ezion went from $0.20 to $0.40 in just 4 months. Ever since Donald Trump election on the 8th Nov, the banking stocks have not stopped running. The banks all over the world are ecstatic about Donald Trump promise to remove regulations imposed on Banks since the Lehman Brothers collapse. Not only has this helped US bank stocks, Singapore's 3 top banks are equally exciting. UOB has run from $18 to $21, DBS from $15 to $18, OCBC from $8.40 to $9.40 all in a matter of 2 months. 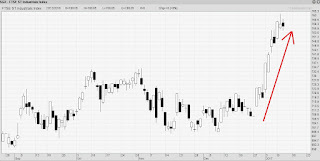 Look at the chart of FTSE industrials index and how it boom. Suddenly this sector has come alive after many months of consolidation. In fact in the last 2 months, industrial companies all over the world are coming alive for 2 reasons. One is the confidence that Trump will allocate big budget to build infrastructure, the other is the bottom of China economy. Steel and Metal prices are in a strong trend as a result. Now that STI has broke into new territories above 3000, there is a possibility that STI bullishness will continue. Optimism in the market will soon follow. Get ready for a great Rooster present for Chinese New Year! Join Andy Yew stock seminar to find out what are the Good Singapore Stocks to watch out for in the next few months!!! ✔ What are the Good Fundamentally Strong Stocks to watch this Quarter? ✔ What are the Industrial Sector Stocks that is worth a look in 2017? ✔ Will the production cut in output of oil cause Oil Stocks to Boom? ✔ How should you Buy a stock that is on a Strong Uptrend?